The people of the UK have spoken! 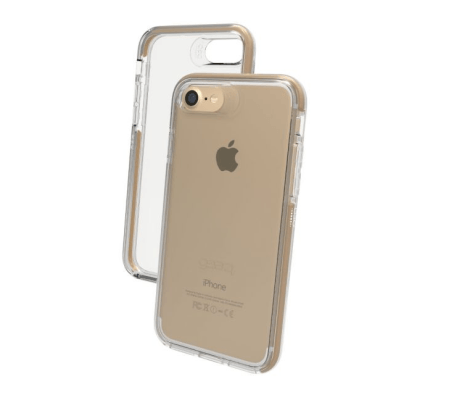 When looking for a new case to protect their all-important smartphone, consumers are looking for maximum protection, high-quality materials without making the case bulky and a great colour (according to an NPD survey). Maybe this is why then, the Piccadilly phone case, featuring D3O technology from GEAR4, the number one trusted impact protection case brand, has proven to be one of the best-selling cases over the last year in the UK as it ticks all of these boxes. Featuring the same D3O® impact absorbing technology that is trusted worldwide in U.S military combat uniforms, American football helmets and protective gear worn by pro athletes (including Usain Bolt), the stylish Piccadilly case for iPhone and Samsung devices boasts unrivalled protection without adding bulk or unsightly padding. In fact, the level of protection offered by the Piccadilly case was independently tested at Cranfield Impact Centre (the UK’s leading independent test centre for F1 and defence) and it topped the charts. When impacted three times on its side from 1.7 metres (ear height), it was proven that GEAR4 D3O cases transfer less force than competitors by 30 percent. Not only this, on average the GEAR4 D3O range was also 53 percent lighter than other competitive cases. GEAR4 is the first case brand to use injectable metallic D3O® to perfectly colour match the iPhone in Gold, Rose Gold, Silver and Black delivering more impact protection per cubic millimetre than other leading materials. Piccadilly is scratch-protected with UV coating and offers easy access to all ports. D3O materials in their raw state flow freely when moved slowly, but on shock, lock together to absorb and disperse energy, before instantly returning to their flexible state. This reaction is counter intuitive. The greater the force of the impact, the more the molecules lock together and the greater the protection meaning your device stays safe when dropped.